The season ended for Brennan Richardson and Jacob Mena on Saturday at the Region 8 Tournament. It also brings an end to the high school careers for both seniors. For Richardson, his career ends with 79 wins and a pair of District Medals. Mena finishes with 54 wins and a 2nd Place Medal from this year's Distritcts. 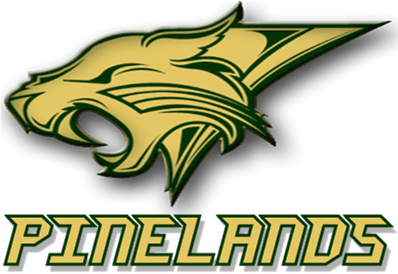 126: Luke Corso (M) p.
While Pinelands lost some key members from last season's team, including State-placer Chris Nielsen, there is a good number of experienced wrestlers returning, especially in the 152-220 range. With that group, along with a handful of other starters, and some promising newcomers, the numbers are up in the room, giving the Wildcats some needed depth and the ability to put out a full lineup. On paper, the strength appears to lie in that 152-220 range. Seniors Jacob Mena and Brennan Richardson, a District runner-up and Region placer, are a very solid duo at 160/170. Fellow seniors Nick Shano, a 2-year starter, and Chris Milano, who has put in the work towards having a big 2018, provide strong veteran leadership. Rounding out this stretch are juniors Evan Burton, and sophomore Avery Maski, who both started as underclassmen a season ago. The 132-152 has some strong numbers in the room, as well, with a healthy mix of upperclassmen and frosh looking to push each other. Juniors Dylan Imbrenda and Sam Cardillo are returning starters, and rookie Gavin Stewart has some good potential. Expect to see a few different pieces inserted in the lineup here as the numbers are there to give the lineup some maneuverability. The lineup will be very young down low, with junior Hayden Jeannotte being the lone upperclassman, but there are a good number of youngsters down there which will push each other for time in the lineup. One of the main focuses for new head coach Joe Adelizzi and his staff was to work on improving the program's numbers, and they've gotten off to a good start in that regard. There is a good mix in the room, ranging from experienced vets, athletes from the football team, and promising youngsters with potential for good things. The early portion of the schedule will be tough with the tournaments and the divisional duals with Lacey and Pt Boro, but hopefully the early tests will get things going and Pinelands can take a shot at their first winning season since 2010.